You may want to sit down for this. That mysterious cube in Fortnite finally did something. After weeks of moving slowly across the map, it reached its final destination: Loot Lake. It didn’t simply waltz up to the lake, either. It full-on melted into it. This was a momentous occasion, for sure. Loot Lake is now purple and covered in strange markings. It also retained the Fortnite cube’s anti-gravity properties that send anyone who gets close to it flying. 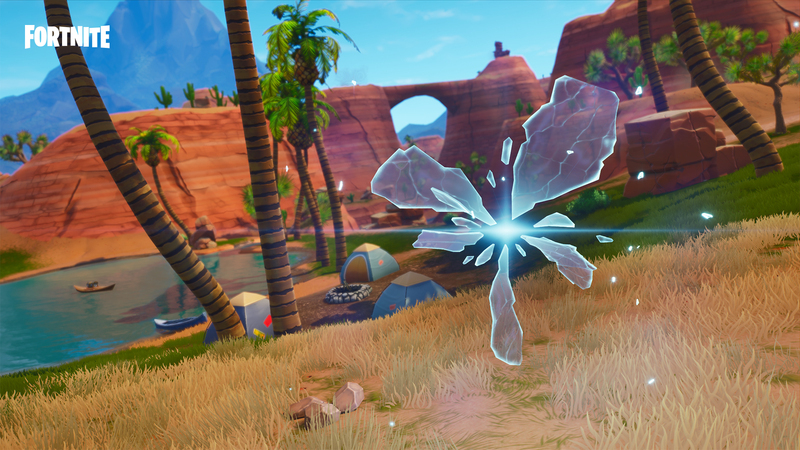 To recap, the cube first appeared after the giant rift started shooting lightning, right before it closed. Said cube began to move, though no one was sure of its destination at first. Now we know, but that doesn’t solve the mystery. In fact, the real mystery may have just begun. Fortnite Season 6 is set to launch the week of September 24, 2018, so hopefully everything will begin to make sense. The battle royale sensation most recently got its 5.41 update, which added the new Port-a-Fortress item. That was the last big update before Season 6 rolls out, so here’s hoping we get more information on what the next series of changes will include. Until then, however, the let’s take a moment to remember our dearly departed Kevin the Cube.